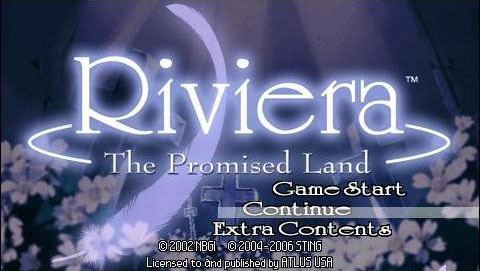 Riviera: the Promised Land may have some stereotypical characters, but the game itself is a unique blend. Perhaps to some an acquired taste. 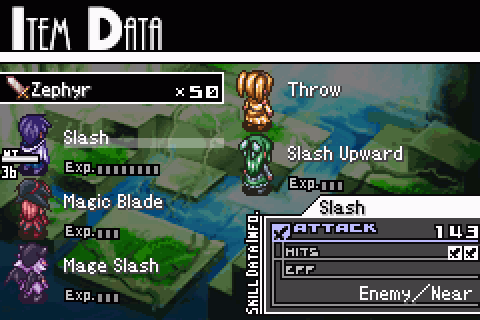 It is definitely not your standard SRPG. Certainly the limitations of the GBA platform were the reason for some variances off the norm. However we do not think you will feel let down because of them. While we may disagree with the wisdom of some developer gameplay choices, none of their chosen paths were low quality. The (nicely painted) terrain types you’ll encounter are varied… including a land made of glowing triangles? Sounds like one of those math programs designed to make learning fun. This game will put you into two distinct modes. One where you are exploring a series of connected screens in noncombat exploration. The other is dungeon exploration shown on your map as a series of chained boxes. 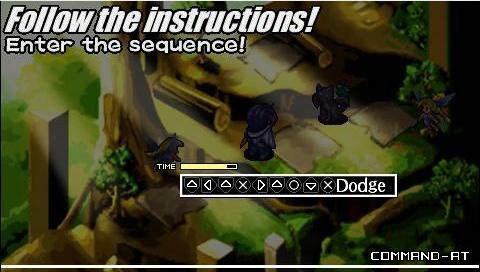 You will pick and customize your crew of three, facing various enemies, monsters and finally bosses. Big Little Characters: Inasmuch as there was opportunity to flesh out the characters through the limitations of game, time and platform, it was well done. There was some character stereotyping, but it was not horrid and helped establish who they were. Weapon X: Attacking abilities, special attacks and even hit points were gained by characters earning experience with specific weapons. Different weapons offered various proficiencies. A flexible system kept in check by weapons having finite uses. Front Line / Back Line: Though you were only able to take three characters into battle, there were two lines in which to place characters. There was strategy involved in choosing the front or the back line, and you were able to switch this up during the battle. A good and efficient means of adding gameplay. 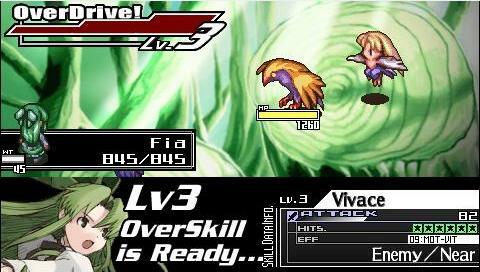 Going into Overdrive: The special attack (called “Overdrive”) meter had three stops. Certain attacks could be launched at charge level one or two, and would only subtract the appropriate amount from a full meter. Fun flexibility. Overdrive? More like overkill. Dude, they’re just birds. Driven over the Edge: Special “S” class attacks could only be used from a fully charged meter. When used the meter would crack satisfyingly and break. After that use of the special meter was prohibited until the end of the battle. a fitting give-and-take. Talk to Me: The dialogue system worked well. 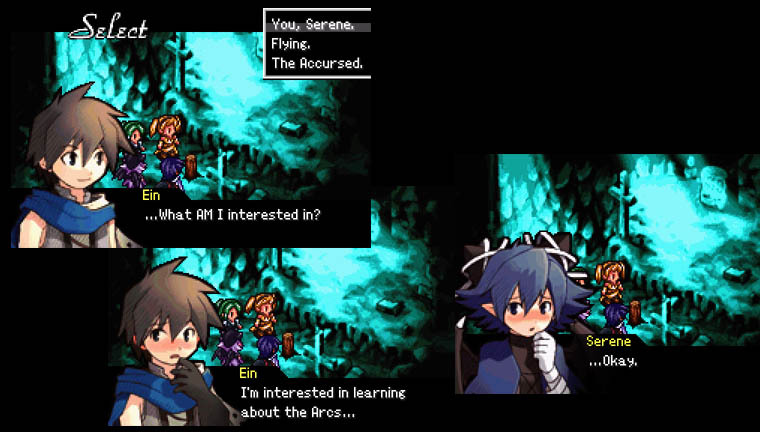 It actually was fairly conducive to put you into the story’s setting and take you along with the characters. Just because you CAN talk does not insure that what you say is on target. Here Ein proves he is a: A) Dork. B) Dipstick. C) Clueless. Too Big for a Bullet Point: Are games “art”? That question will not be answered here. How long has this premise been bandied about? That one will not be answered either. What we will say is that the art direction was crisp, consistent and pleasing to the eye. It may not be revolutionary, nor does it have to be in our book. They hit exactly what they were aiming for. The characters were pretty and fun. A lot of personality was easily communicated with the simple well-done line drawings. Additionally there was a large cadre of supporting characters and monsters that were of similar quality. They added immersion, fun and depth to the universe. 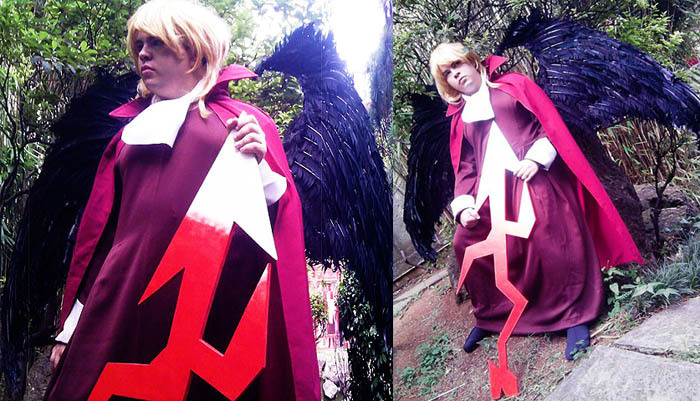 The weapons were over the top and fitting. The backgrounds were soft and framed the action well. They ran through the gamut of colors and rarely failed to set the mood. They were especially rich for GBA. Dynamic Environment: An underused tactical fun-factor for SRPGs is changing the play-field dynamically due to specific in-game conditions. Like Shining Force III’s train yard, or Vandal Heart’s collapsing bridge. In Rivera, one battle area became flooded. This was good. Let’s see more! Your Neck of the Woods: When not in a dungeon you have the option to choose various destinations and meet different local characters. It gave the impression of a larger name in a small package. However it was clunky and a little slow – a lot of screen loads, backtracking, etc. 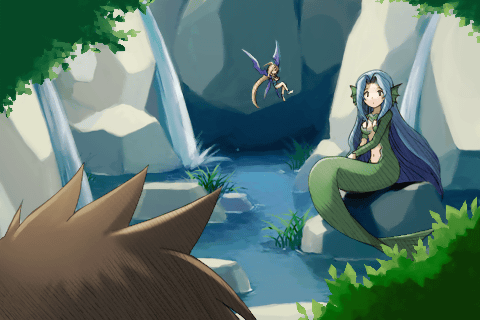 Well, it’s Some Sort of Story… Putting their own spin on various mythological deities and legends is nothing new for Japanese game plots. Focusing a bit on Norse elements, Riviera isn’t going to sweep you off your feet with a visceral, real-world story like Fire Emblem or Kartia. It probably has more Japanese appeal than international. It could have added more to the game. Put One Square in Front of the Other: Navigation through dungeons was room based. The mini map was mostly clear in this regard. There was some forking, backtracking and wrong turns which were less desirable. The method left room for improvement; hence it not making “good”. Evil Monster: With weapons having finite uses, care was taken in their expenditure. So having a class of monster that attacks causing the loss of a use seemed more frustrating than penalizing. This was especially true for special weapons that may have only had 1-5 uses. “Werd”: Progress sometimes required solving word puzzles. These may have sounded better on paper or in a design meeting. Actually playing them was not much fun. Action points were earned in battle and used to investigate optional environmental interests. Perhaps a buried item, or choosing whether or not to open a treasure chest. However spending one of your precious few points needed to be done in a carefully crafted system of fun. Riviera’s wasn’t. This was most clearly illustrated by treasure chests. One action point to open, however 75% were trapped. Once triggered, in order to evade the traps you have to follow a quick series of prompted control inputs. Ugh! Failure to successfully complete this sequence cost you 5 to 10% of your main characters hit points. It was a penalty not easily ignored, as those points were needed for future battles. Also trapped chests explode if not successfully evaded, destroying the contents. And getting an empty chest after all that?! Multiple endings. It’s just getting old. It might be a different story if it was done well and in a way that did not gyp the player because he didn’t talk to Fred at his smithy located in the secret woods on level three. But sadly multiple endings done the wrong way is an SRPG trend needing improvement. 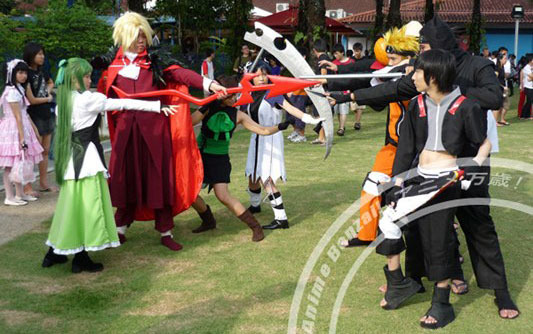 How will this high powered fan-feud end between the Riviera cosplayers and… the cast of Naruto? There are a variety of different endings, probably about six. It’s not just about winning the game and performing all the strategic and tactical things necessary. It’s likely also about some of your dialogue tree choices, and worse yet treasures and traps successfully found and/or evaded. 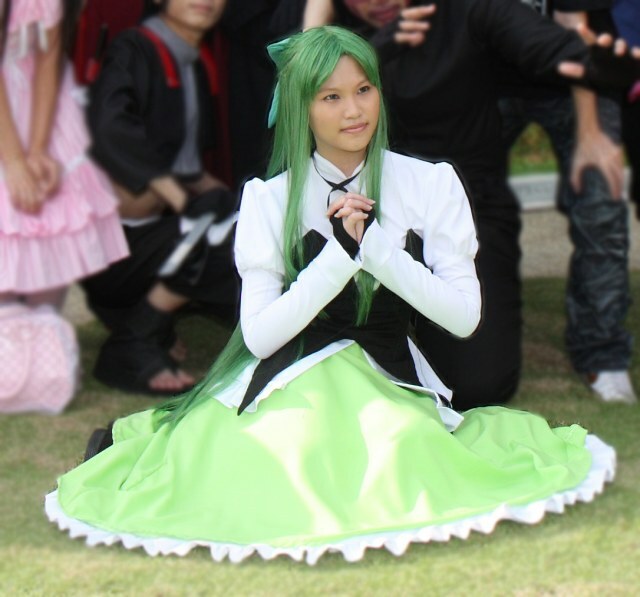 Fail to perform specifically what they want and you end up with some generic lame ending. That is not fair to a person who has successfully fought through this whole game and won in the end. I will say it again: Multiple endings should be to add significance to player tastes and choices, not deprive them of crucial emotional catharsis and a satisfying dénouement. Perhaps you were the 1 in 62 to get one of the happy endings (the Serene ending on the left) or more likely ended up with the generic loser ending on the right. “Get back to work Ein!” We saved the world for this? Many little things gave Riviera its own unique style. Like the designers researching a cool weapon name like “arbalest.” Okay, so the story was a little strange and in some ways typically Japanese. That’s just the way it sometimes is coming from such a different culture. That did not detract from a reasonably solid game. It might have been a different story if the mechanics were not so robust. The multiple endings thing was a poor choice, and we went online to find the one most suitable to the way we played. Of course while we were there we looked at the rest (perhaps six or so). Such activities really break the narrative of the story, so it’s too bad it had to come to that. 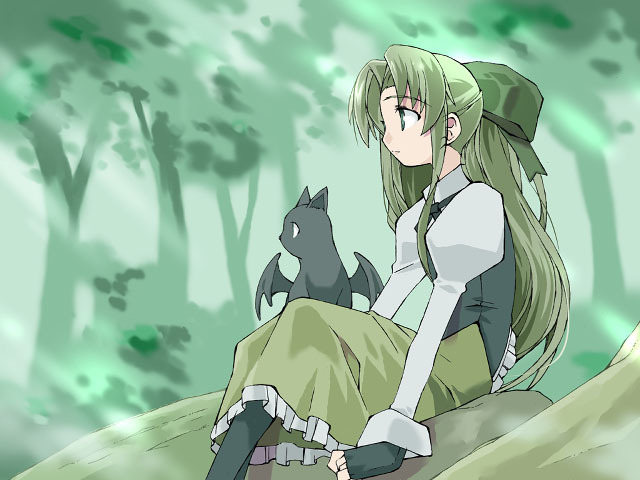 On the bright side the character endings were upbeat, it was only the lame generic ending that was a downer. Whatever percentage of players got that lame ending, it’s too high. It probably should have been left out completely. 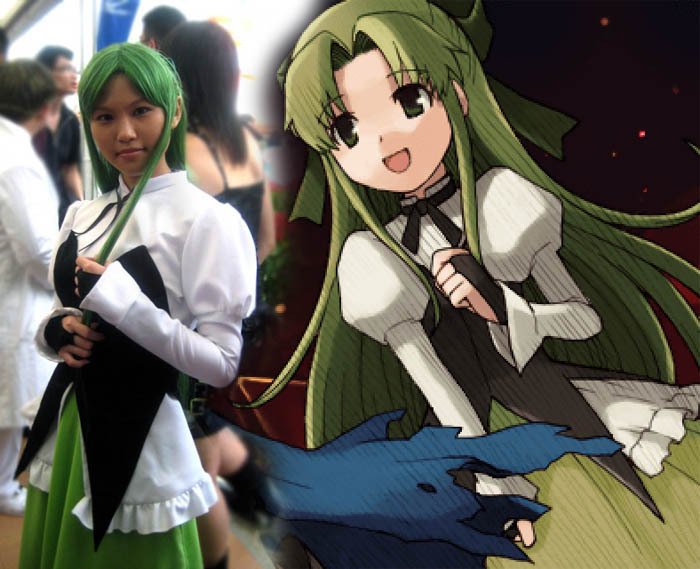 Note to cosplayers: Don’t let a good costume down. Try to find a fitting background for your staged photos. Was aluminum siding really the best you could do? 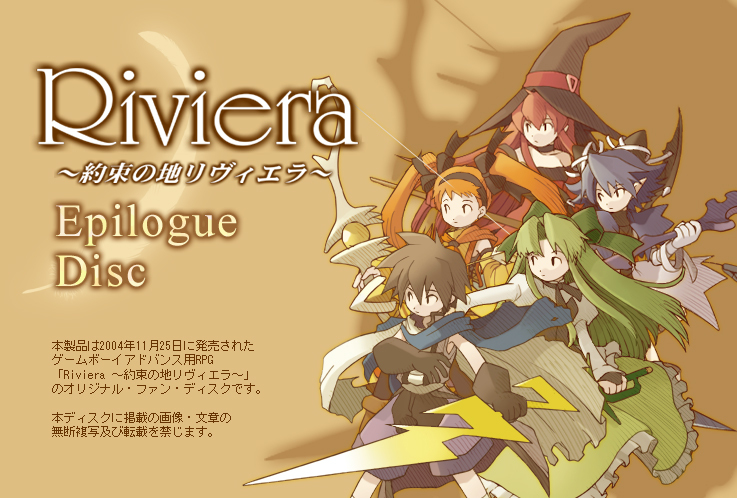 Great art, quality execution and reasonable depth for an unusual SRPG on the GBA platform help Riviera stand out. It’s worth the time to check out. You will know within your first 30 minutes of play whether it’s particular style resonates with you. If it does you will be in for a reasonably fun, good-looking romp. Sadly (for the game makers), I did not finish this game. 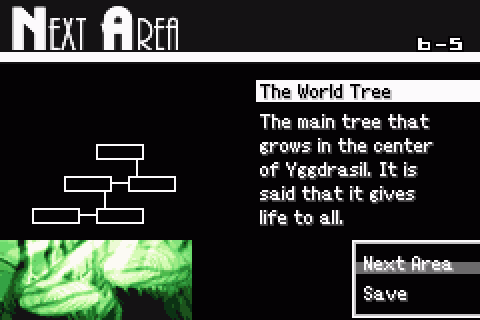 Perhaps I might have if I had not gotten stuck in an endless forest maze where I continued to use up my finite weapons with no shop in sight… The art was indeed cute and colorful, the story needed help, and the fight system had pros and cons. But I would agree that there were some system dynamics that could have been fixed to make the game fun enjoyable from start to finish. Less punishing situations, and more rewards! And fix that finite weapon system! Have a “teleport to nearest shop” as an emergency backup?